This week, I dive in to a world in which the Kingpin is Mayor of New York City, ponder DC’s “Wonder Comics,” and celebrate the best satirist among the Big 2 publishers. Newly Available Complete Story Arc in Marvel Unlimited: Yes! Despite my tepid to outright hostile feelings towards Marvel Netflix over the past 2 years, the return of Daredevil Season Three admittedly has me excited to dive back in to the ongoing exploits of Matt Murdock in the Marvel Comics universe. Writer Charles Soule has carved out a stealthily long run on the character, writing 28 issues of All-New All-Different era Daredevil before Marvel Legacy renumbering hit with Daredevil #595. That “Legacy” arc launches with a story titled “Mayor Fisk,” and it’s as directly a supervillain in politics modern parallel as you’re likely to find across the Marvel landscape. 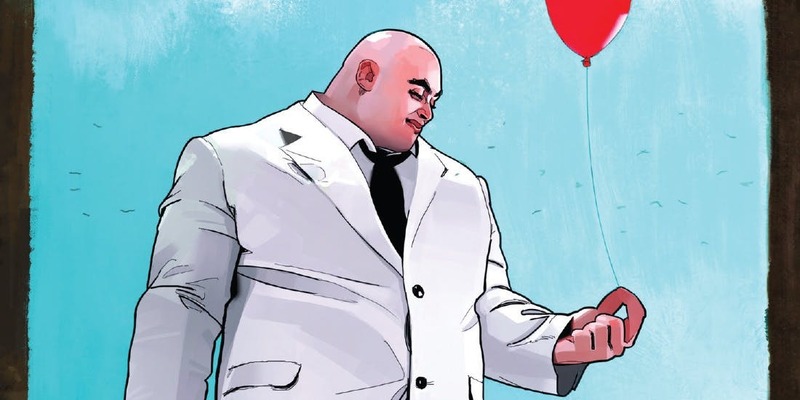 Long story short, while Matt was away Wilson Fisk entered and won the New York City mayoral race. I quite appreciate Soule and team’s approach to Fisk’s win, too, avoiding the trappings of wondering “how did this happen” and instead focusing on what a Fisk mayoral regime would actually look like. Naturally, Fisk puts the hammer down on vigilante activity, and Matt finds himself threatened both as Daredevil and as a lawyer in the District Attorney’s office. Honestly, if you have a general background in Daredevil and Kingpin’s long running enmity, “Mayor Fisk” is a relatively neat jumping on point. There’s an important subplot connected to Daredevil’s semi-protégé Blindspot and the murder-artist (no really) Muse that stems from earlier in the Soule run, but honestly, this is easy to piece together with exposition and context clues. Overall, a recommended read for Daredevil fans, and one that has me wishing Netflix Defenders had instead followed Daredevil’s efforts to lead a group of street vigilantes against a politically empowered Kingpin. Better judgment aside, I’m still excited for season three! That’s one definite pull for me (more on Wonder Twins in my love of the week below), and one close call (I quite enjoyed the New 52’s “Dial H for Hero,” but Humphries Marvel Comics work has repeatedly left me cold). Between Black Label, the Killing Zone, and probably some I’m forgetting, DC’s gone imprint crazy in 2018, so I’ll reserve judgment until the catalogs begin to fill out. Likewise, Bendis is keeping himself inhumanly busy, with a role as DC’s Superman architect, his own Jinxworld imprint, the Walmart Giant Batman series with Nick Derington, and now Wonder Comics. Much like we saw this decade at Marvel, something tends to give when Bendis is at his most prolific, and it would not shock me one iota if that something was Young Justice. I haven’t kept it a secret that I’m a fan of Mark Russell’s comic book work over the past few years, primarily with DC Comics. 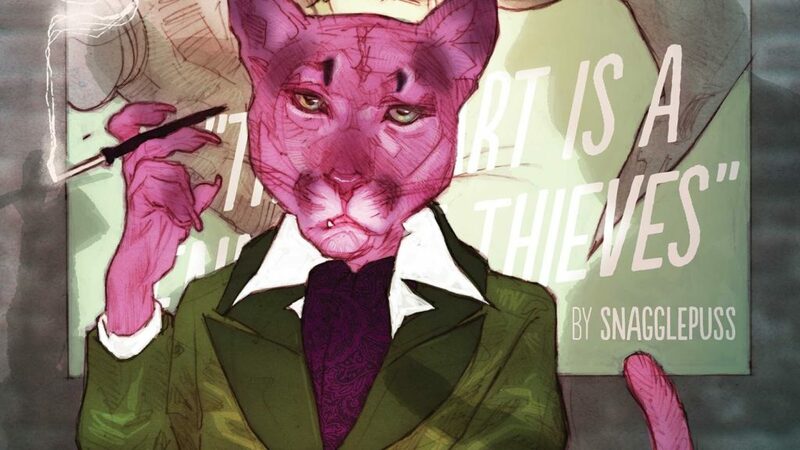 Both Flintstones and The Snagglepuss Chronicles have landed prime spots on my Best Comics of All Time list, and rank among some of my favorite comics of the past two years. Russell’s gift for pulling humanity and deeply resonant cultural themes out of unlikely sources is among the finest in the medium. This was hammered home for me yet again reading his take on DC’s Lex Luthor / Porky Pig one-shot, a melding of two fictional characters that has no business working on paper, yet somehow stood out as one of my favorite new releases of recent memory. Porky is reimagined as a fast rising cryptocurrency business leader, who sees his fortune and fame all come crashing down. Lex snatches up Porky as the leader of his new social network, where Porky finds himself endlessly gratified at his second chance. Through it all – again a comic book ostensibly about the “Th-th-that’s all folks” end credits mascot of Loony Tunes – Russell finds ways to satirize social media, online privacy, business in general, congressional hearings, and the American economy. It’s astounding work, and while not everything lands with a razor sharp edge, Russell hits way more than he misses. So, yes, my love of the week is Russell taking on writing duties for Dynamite’s relaunched Lone Ranger (a comic I wouldn’t otherwise give two tumbleweeds about) and the Wonder Twins comic from the aforementioned “Wonder Comics” imprint. 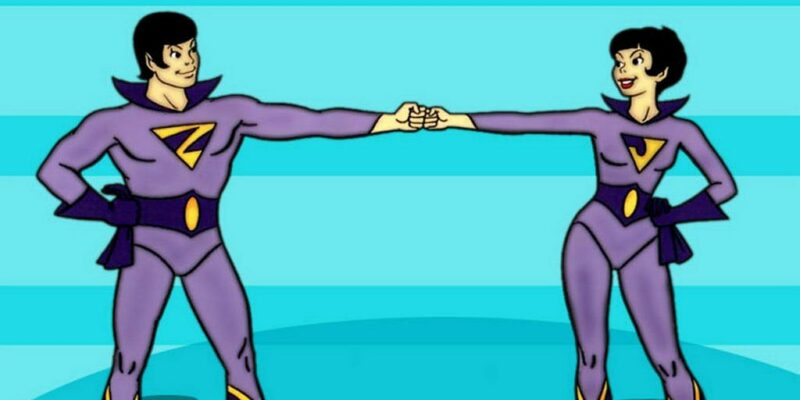 Automatic pulls for me all around, and I can’t wait to see what he does with the Wonder Twins!